When We Say "Great Outdoors,"
Sunny skies, coastal breezes and lush landscapes make the Emerald Coast a paradise for golfers of all skill levels, all year long. Whether skirting the sugar-white sand beaches or wandering through a grove of live oak, pine and tropical vegetation, you’ll have a great time golfing at any one of our championship golf courses and country clubs. Book a golf package or schedule a tee time, today. 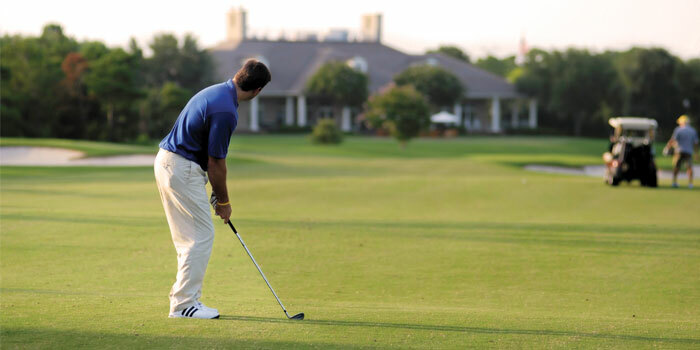 Learn more about golfing at the heart of Florida’s Emerald Coast on our website, or click here to view available golf packages.